Boasting design elements made in the heart of Tuscany, the Mugello line is our flagship series. With incredibly flat boxes, it’s apparent the KH2, KH3 and KH5 are lightweight solutions that saves space along with transportation costs. But the biggest takeaways are their impressive power, intelligible control and high quality. Mugello’s compact design allows sound to exit instantaneously without resonance, generating a significant amount of sound pressure in the low and low-mid range which results in a better impulse response and maximum clarity and definition. In fact, the Mugello line measures up to the highest standards in the pro audio live sound market, both in sound and quality, by procuring an exceptional peak output and improves upon traditional loudspeakers by virtue of our Slim Array Technology which produces a dispersion in a hyper-cardiod figure which maintains the desired directivity with low back emission and minimal side dispersion keeping the stage clean from sound pollution and preventing easy feedback when sensitive microphones are used on the stage. 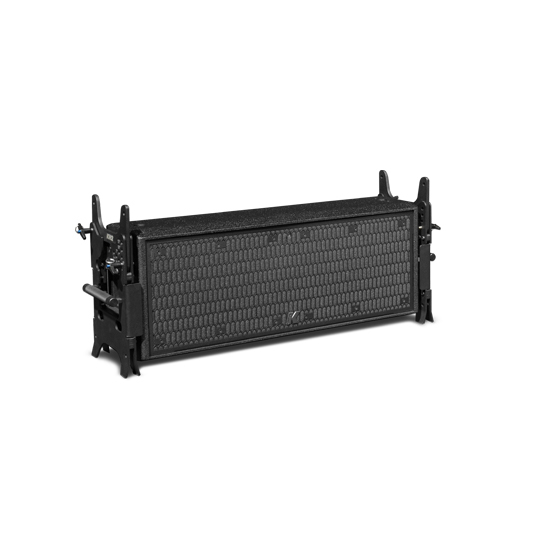 The electronic beam steering capabilities of the line array allows the user to direct the sound beam to concentrate the audio in a targeted area or provide continuous, even coverage in a straight configuration without a banana curvature. 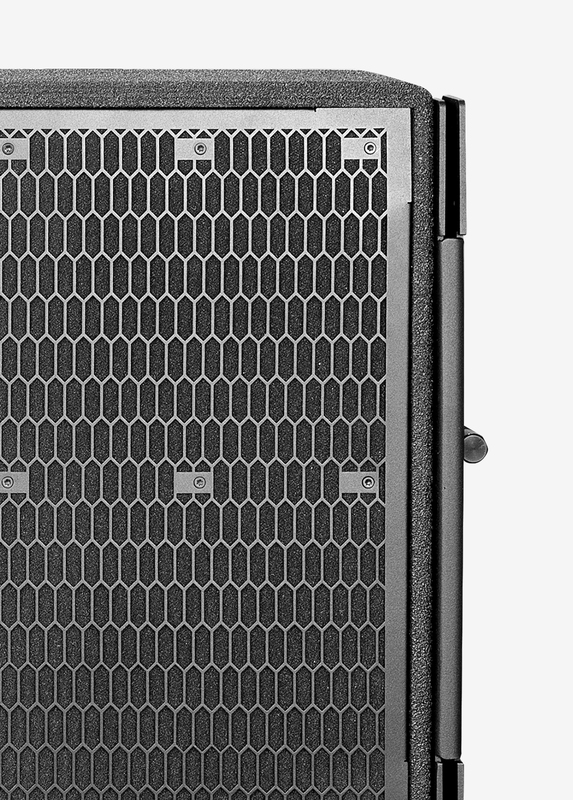 Results are maximized with the ability to precisely and independently control each Mugello line array element eliminating noise pollution. 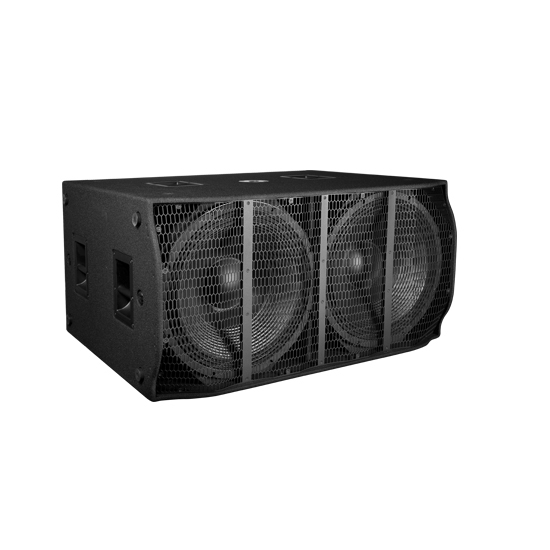 The KH2, KH3 and KH5, all Dante compatible, together with the with the self-powered KS5 subwoofer, are best suited for high-powered extended bass response applications in arenas, theaters, stadiums, concert halls and outdoor events. We have the ability to customize your project by color matching your system to any RAL code to help you to better integrate the speakers into a wide variety of venues. We have the ability to customize your project by color matching your system to any RAL color to help you to better integrate the speakers into a wide variety of venues. RAL is used for defining standard colors for paint and coatings and is the most popular Central European color standard used today. We utilize the most durable and resistant materials when developing our products to protect and conserve the system regardless of the elements, rendering a K-array installation reliable and long-lasting. 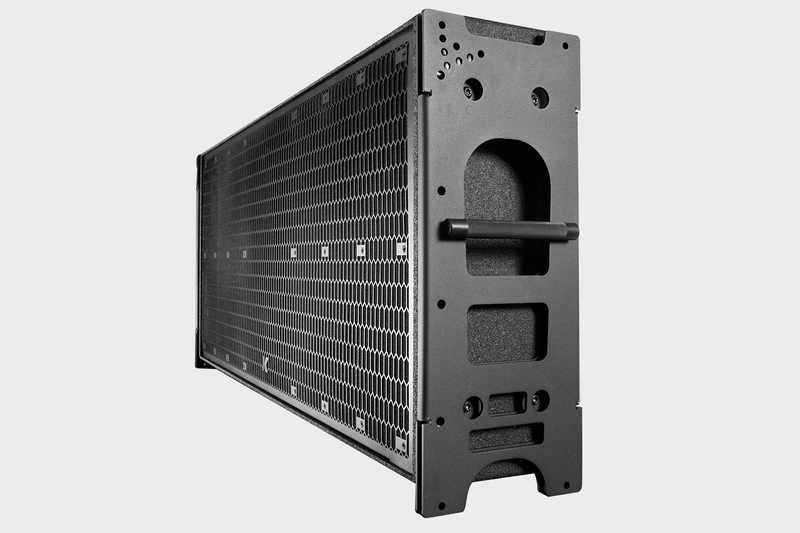 The most durable and resistant materials is used when developing our products to offer the most reliable solutions on the market: aluminum and steel make up the frame of all weather resistant speakers within the K-array portfolio. Versatile and efficient, aluminum provides strong structural support without adding excess weight to the products. Naturally generating a protective oxide coating, aluminum is particularly useful for protection and conservation rendering a K-array installation dependable, regardless of the application elements. Steel is the other functional material K-array implements, which offers corrosion resistance and strength. Stainless steel does not readily corrode, rust or stain with water making those products perfect for aquatic environments as well as traditional settings. 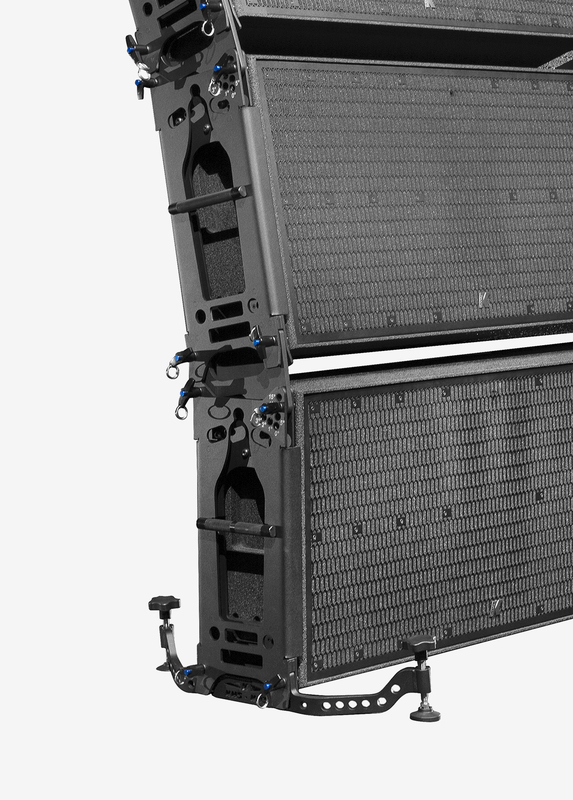 The ability to digitally adjust the dispersion of a line array not only ensures the same listening experience to all audience members but, at the same time, limits the noise pollution in the areas where the sound pressure must be kept at a minimum. 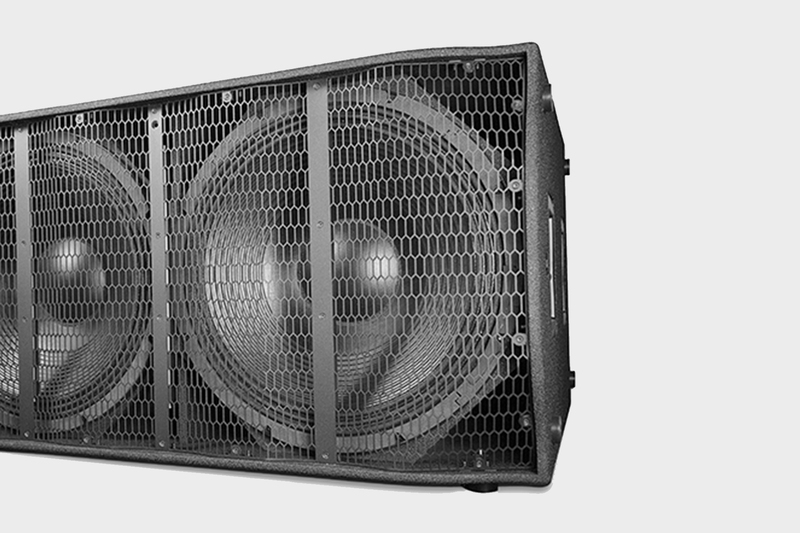 The ability to digitally adjust the dispersion of a line array not only ensures the same listening experience to all audience members but, at the same time, limits the noise pollution in the areas where the sound pressure must be kept at a minimum. This technique is based on a digital optimization of the interaction between the acoustic waves emitted by each component of the array. By finely adjusting the phase and the amplitude of the signal sent to each section of the array, it is possible to focus the sound beam on the audience areas and guarantee a consistent tonal balance from the front of the venue to the back. One of the properties that makes these filters ideal for Electronic Beam Steering (EBS) is that they can alter the signal phase at a given frequency without altering the amplitude and vice versa. Because each FIR filter has hundreds of adjustable coefficients, users are able to manipulate the amplitude and phase of a signal with an extremely accurate frequency resolution. Practicality in transporting, ease of assembly and cost savings aren’t the only benefits of our unique technology, Slim Array Technology (SAT). 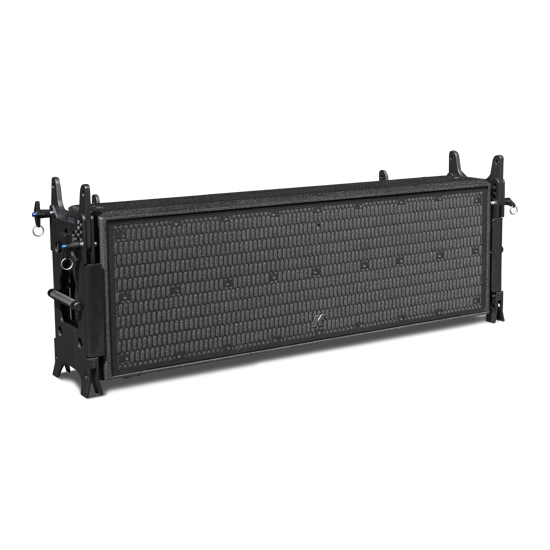 Practicality in transporting, ease of assembly and cost savings aren’t the only benefits of K-array’s unique technology, Slim Array Technology (SAT). One of the biggest advantages of SAT line arrays is that they show a hyper-cardioid dispersion pattern in the mid-low range, where conventional line arrays are almost omnidirectional. 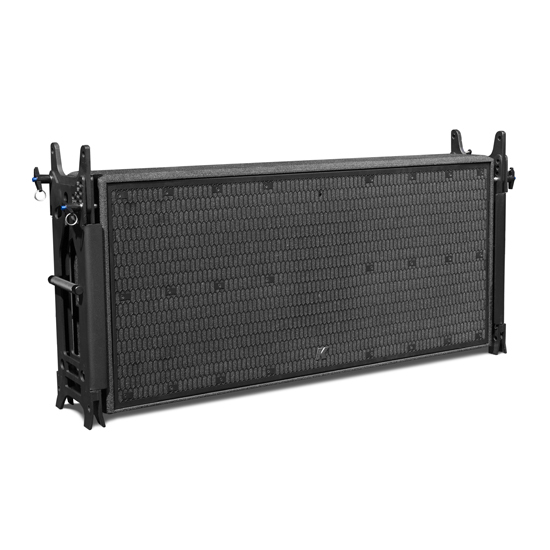 This reduces the amount of energy sent towards the stage which typically requires a high volume level of the monitors for the musicians even though it consequently deteriorates the signal-to-noise ratio of the microphones and increases the difficulty in feedback management. Another advantage of SAT is a better impulse response than that of a conventional line array element. In truth, a directly-radiating bass reflex box uses a resonant air volume that tends to reduce the definition in the low-mid range and does not allow the correct reproduction of fast transients. Instead, SAT’s compact design allows sound to exit instantaneously without resonance, generating a significant amount of sound pressure in the low and low-mid range with a fast transient response. The cardioid dispersion in the low frequencies and an extremely fast impulse response are the true advantages of slim array speakers. The combination of these two factors leads to a significantly better acoustic outcome with respect to the traditional line array elements, particularly in terms of sound definition and noise pollution outside the desired audience areas. 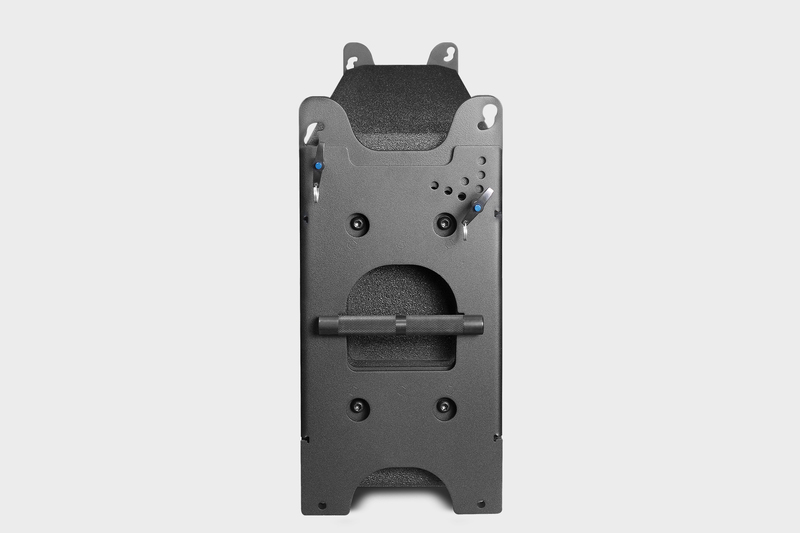 Additionally, the compactness of the speakers benefits the user through the practicality in transporting, the ease of assembly and the overall minimal footprint of the cluster which creates an optimization of space, time and, therefore, total incurred costs for the management of these systems. With the dedicated K-dante accessory, this solution can be integrated into a Dante network making it interoperable with other devices. Dante is an uncompressed, multi-channel networking technology that allows the transmission of digital audio and data across standard IP networks. With the dedicated K-dante accessory, this solution can be integrated into a Dante network making it interoperable with other devices and letting the user replace heavy, expensive analog or multicore cabling with low-cost, easily-available CAT5e, CAT6 cables. Because Dante uses logical routes instead of physical point-to-point connections, the network can be expanded and reconfigured at any time with just a few mouse clicks. An integrated touch screen provides intuitive control over the main DSP functions: input/output levels, signal routing, offset delays for the subwoofer and Speakon output and overall system delay (up to 330 ms). Our self-powered solutions prevent distortion from cumbersome and fragile passive crossovers and power loss due to long running cables, and offer plenty of advantages ranging from the compactness of the solution to the ease of integration with new and existing sound systems. The needed power at the heart of the sound source. 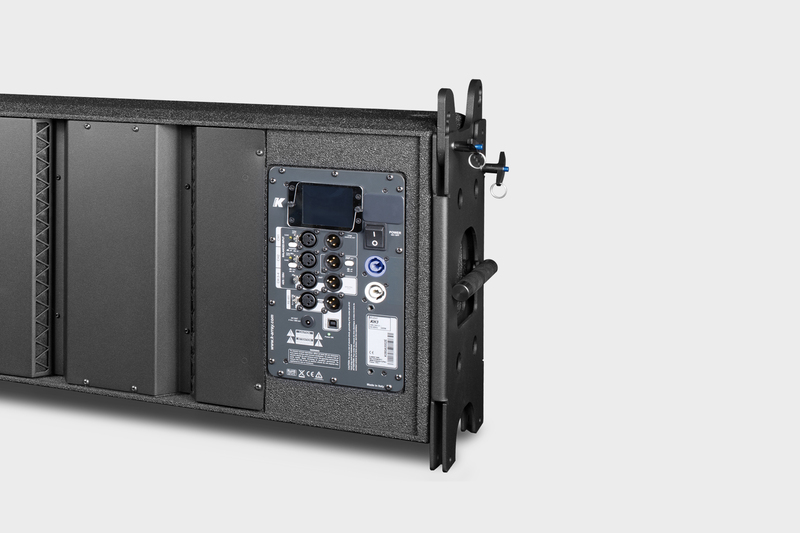 No more distortion from cumbersome and fragile passive crossovers, no power loss due to long running cables, and plenty of advantages ranging from the compactness of the solution to the ease of integration with new and existing sound systems. Mugello line products can be successfully used in a range of different settings and events.